يحظى فندق Burleigh Gardens North Hi Rise Hotel بمكان متميز في محور جولد كوست سياحة, شواطئ, برامج عائلية في منطقة بورليغ هيدس الفاتنة. يمكن من هنا للضيوف الاستمتاع بسهولة الوصول إلى كل ما تقدمه هذه المدينة النابضة بالحياة. بالنسبة لمن يريد الخروج، هذه بعض المعالم السياحية المتوفرة للزوار بورليغ هيدز, Hot Stuff Surfboards, The Jewellery Studio. استمتع بالخدمات الراقية والضيافة التي لا مثيل لها بهذا الفندق في جولد كوست. لضمان راحة ضيوفه، يقدم الفندق الخدمات التالية: تسجيل وصول/خروج سريع, تخزين الأمتعة, واي فاي في المناطق العامة, صف السيارات, التوصيل من وإلى المطار . استمتع بوسائل الراحة الراقية في الغرف أثناء إقامتك هنا. بعض الغرف تتضمن تلفزيون بشاشة مسطحة, اتصال لاسلكي بالإنترنت, مكيف هواء, شرفة/ تراس, تليفون لمساعدتك على استعادة طاقتك بعد يوم طويل. يقدم الفندق مجموعة واسعة من وسائل الراحة المتنوعة، كمثل: حوض استحمام ساخن, مسار جولف - ضمن 3 كم, حمام سباحة خارجي, سبا, ملعب تنس. 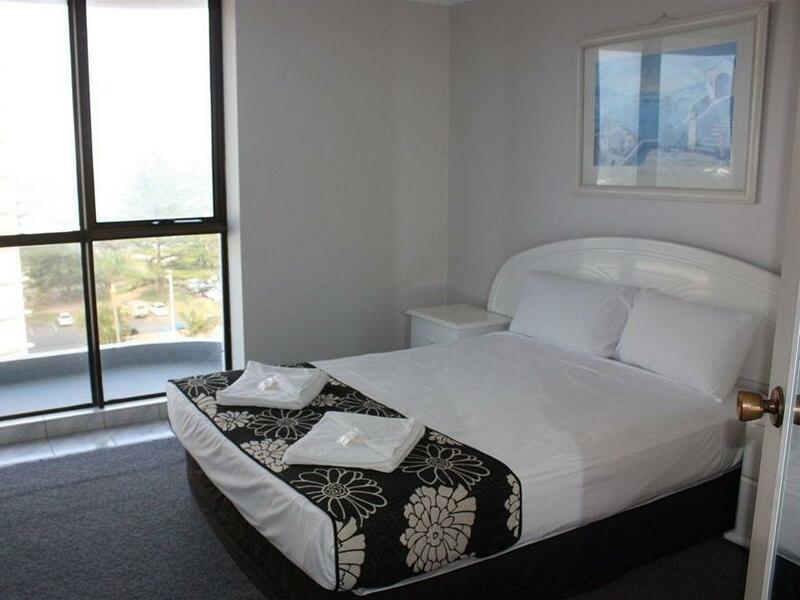 مهما كانت دواعي سفرك فإن Burleigh Gardens North Hi Rise Hotel هو خيار ممتاز لإقامتك في جولد كوست. Next time we will be staying longer. Was an overnight stay thoroughly enjoyed the hotel. Not a grand hotel but it was perfect for us. Definitely going back when we go back to the Gold Coast for a holiday. Location perfect. Easy walk to the beach and plenty of places to eat. Highly recommend for families with a budget and not fussed with the simple things. If on the top floors lovely view. Close to shops and cafes. Farmers market across the road as too is the bus up to Surfers Paradise. starter kit provided: toilet paper, washing detergent, coffee and milk. No shampoo. No hair dryer. Gave us a later check out when asked. Front room a little noisy. Not sure who wrote their reviews before but were over stating the place. The place is very tired and needs a major refit. Place was tidy but nothing special for the money. Air con did not work. Iron was dirty and baked on. The Foxtel didn't provide access to many channels including free to air. To top it all off the cleanliness came into question when a present was left in the toilet that obviously had been there for a while. Overall disappointing and would not recommend it. My family and I had a great night at the hotel. It surpassed my expectations and was very clean and modern. I would recommend it. 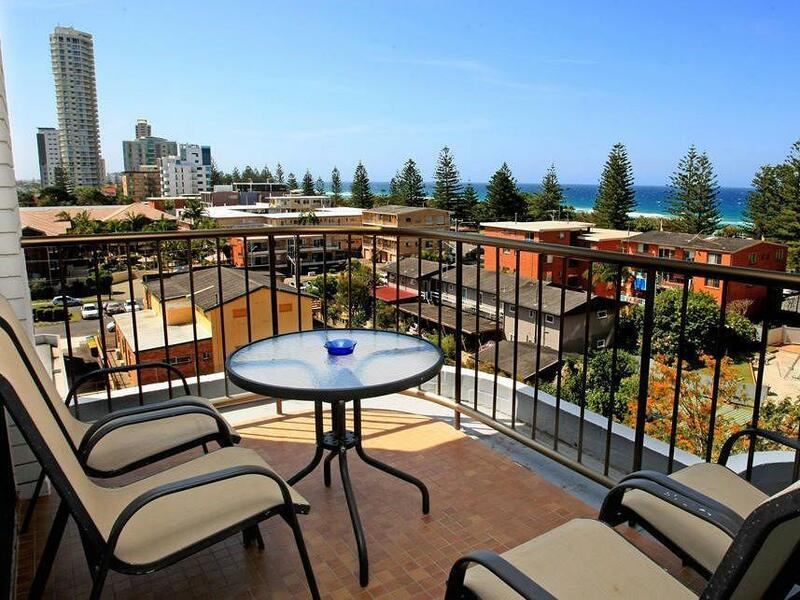 The Burleigh Gardens North is very well located for the beach, the shops and public transport up and down the coast. The large,comfortable apartments face the sea and so have cool breezes day and night circulating through the rooms. The air-conditioning wasn't needed. Great Place !! position, convenience to shops and transport, good views. pleasant,relaxing, the weather wasn't too good but still plenty to do. Good walks and good venues for lunch/dinner etc. In the two days the parking was good, room clean and comfortable. Booking this hotel through agoda was so easy as we needed somewhere to stay to attend a wedding. The location was perfect within walking distance from where we needed to be. Even although we stayed one night we were fortunate to talk to the manager before our stay and she was really accommodating by allowing us to stay on the top floor (11th) which has the best views of the ocean and the mountains. The unit was clean and neat and had a very nice set up. The beds were really comfortable being too singles and a queen. The unit was completely self contained everything we needed was at our fingertips.